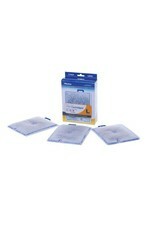 Aquaria AQ Replacement Filter Cartridge - Large - 3 pk - Rick's Pet Stores Inc. 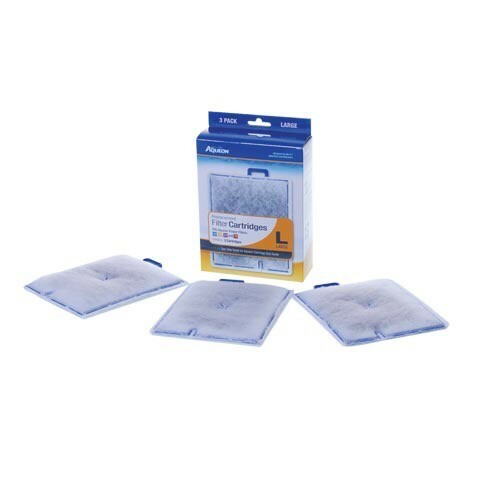 Replacement Filter Cartridge - Large - 3 pk Aqueon Power Filters and cartridges were designed with the fish and the aquarist in mind. Their designs include unique features to enhance water quality and clarity. The patented dual-sided replacement dense-floss cartridges contain over 25% more activated carbon than the leading brands, and have been designed to ensure even distribution of carbon throughout. The dense floss removes particles and debris, and the activated carbon removes toxins, odors, and discoloration. The Large size Aqueon Replacement Filter Cartridge works with the QuietFlow 20, 30, 50, 55, and 75 Power Filters.